Sanctuary Church began hosting homegroups and holding services in Providence, RI in the spring of 2012 after residing in East Greenwich as an evening service at Christ Church. Our decision to plant in the city was due to a clear call by God to serve our community which was predominantly made up of people who lived in, or were already serving in the Providence. 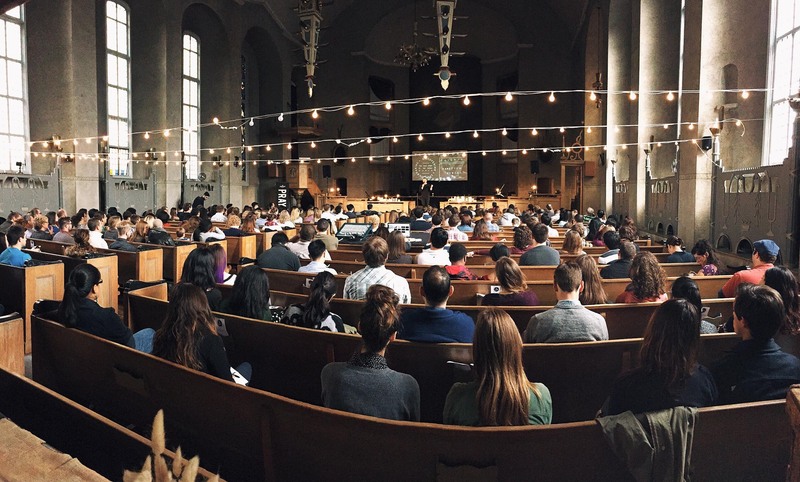 A vision to be a church by and for the city began to emerge. Our leaders lived and served here. Our outreach work was here. And our partner churches in the city welcomed us. Sanctuary is a family of neighborhood churches. A community of Jesus followers seeking the renewal of our neighborhoods, city, and world. Announcing the good news of God’s grace. Serving the poor and oppressed. Caring for the common good. Simply put, to love as we are loved. That said, we mess this all up quite often. We believe in a God who loves us exactly where we are at, and far too much to let us stay there. We don’t claim to have all the answers. But we hope to ask the right questions. Whether you’re a follower of Jesus, someone who is searching, a regular church attendee, or someone who is fed up with religion, we welcome you. We believe church should be an open, challenging, and safe place for you to serve, be still, ask questions, wrestle with scripture, and be honest. A church is a community of people who are learning what it means to follow Jesus… in his truth telling, generosity, forgiveness, and radical love. A church should be a compelling force for good in the world, and we believe that the church is at its best when it serves, sacrifices, and loves, caring about the things God cares about. A church should be a community marked by grace, knowing we have a God who loves us exactly where we are and loves us far too much to let us stay there. the good news that God the Creator, has come to rescue us from sin, and renew all things, in and through the work of Jesus Christ on our behalf, to establish his kingdom through his people, in the power of the Holy Spirit. We believe in a Jesus whose body was broken and blood poured out as an act of love for the healing of the world. We believe in a God who is looking for a body of people to do the same — a people who will break themselves open and pour themselves out for the good news that Jesus is renewing all things in and through us. Click here for our theological statement.